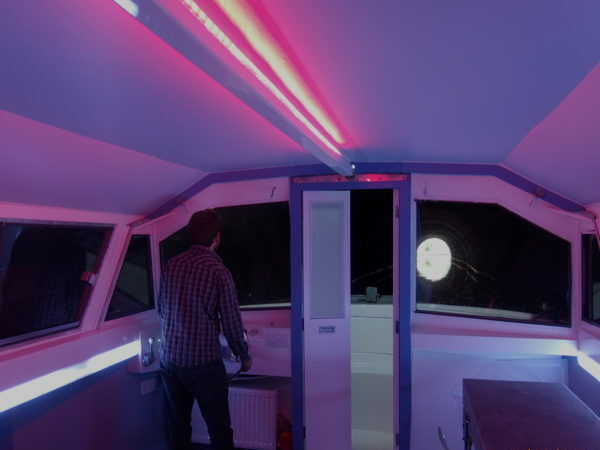 This floating venue for hire in London is the perfect space for pop up events, creative workshops, team away days and private parties. 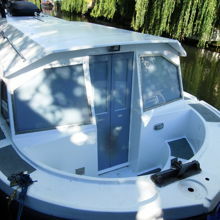 The boat has a sliding roof option so on a sunny day with the roof open its just fab to unwind on the boat surrounded by the tranquility of the waterways. 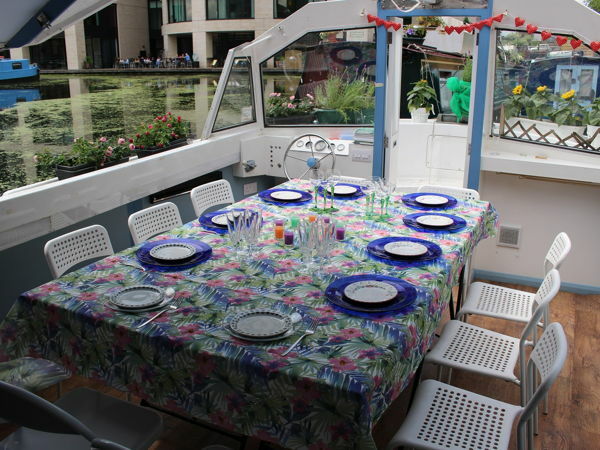 The boat can comfortably accommodate up to 12-14 people. 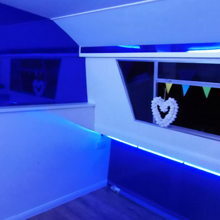 It has all audio visual equipment, a projector and a screen. 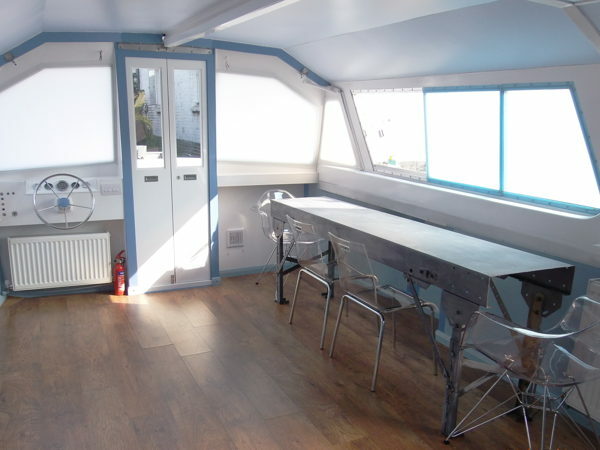 There are kitchen facilities to prepare a meal on board (including an oven, grill, 4 hobs, a fridge and a sink and all utensils). We have beautiful tea sets and collectable teapots, champagne and wine glasses, candles etc. There are toilet facilities. 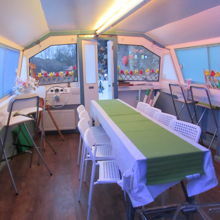 Surrounded by the beautiful scenery of the waterways and the stimulating background of light and water you are bound to inspire creativity. 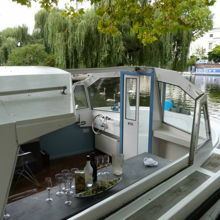 We have commercial insurance and non-private boat safety certificate.Please note we would be moored during the event. We are not a trip boat. You can bring your own food and drinks.